The track opposite Greensward Lane is now the drive up to Arborfield Court. 'Mills Barn' has been replaced by a house. 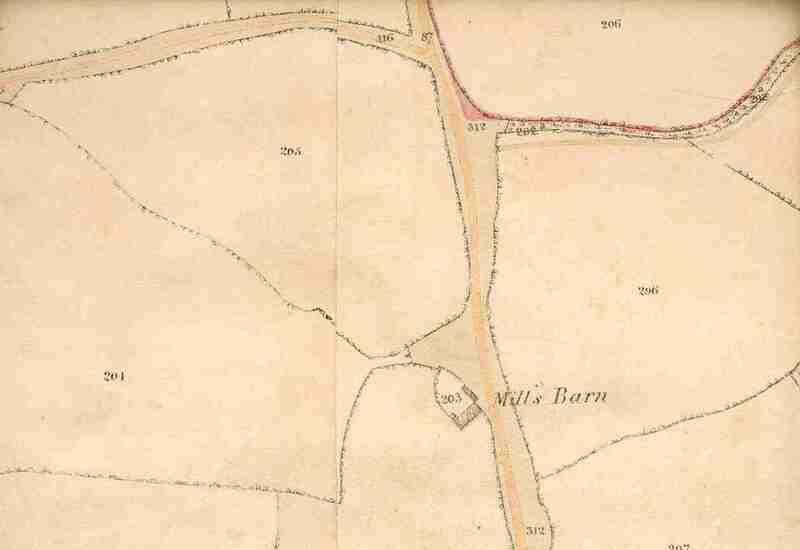 This view shows the old barn south of Greensward Lane / Swallowfield Road.